Employees who are exposed to certain high-hazard substances are required to undergo statutory medicals. 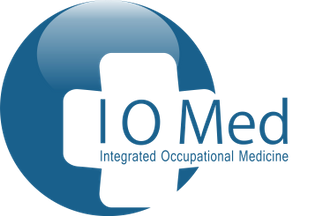 At Integrated Occupational Medicine Ltd, in Sevenoaks, Kent, our trained professionals offer an assortment of medical examinations. Much like our health surveillances, our experts will carry out a wide range of tests. However, at the end, you will receive a certificate to say that it has been carried out. Many companies, such as those in construction, asbestos removal, and toxic waste manufacturing industries, often call upon our first-rate medical services. Following health and safety regulations, we carry out statutory medicals to identify whether or not your employees have been affected by potentially dangerous substances. This includes carrying out an asbestos medical. We have to fill in a detailed statistical before we submit this to HSE. We’ll ask you all about your various work experiences, allowing us to know all about any possible exposures and hazards. We’ll also discuss any medications that you’re on. Similar to our occupational health services, companies will get in touch with us to arrange their statutory medicals. The consultation will last for 30 minutes, with you receiving an asbestos certificate at the end of it. For your peace of mind, all assessments are carried out by a trained professional. Contact us today, in Sevenoaks, Kent, to find out more about our statutory medicals and medical examinations.